Augsburg - After nine games without a win, the three points were all that mattered for Bayer 04 Leverkusen as they took to the pitch for their Matchday 27 clash away at FC Augsburg. Thankfully for Sami Hyypiä’s charges, a combination of luck and clinical finishing helped them to a hugely important 3-1 success and the hope now is that the rot has been stopped after recent form had threatened to derail their push for a UEFA Champions League berth. Ostensibly, a trip to eighth-placed Augsburg looked like another potential banana skin in the making. Markus Weinzierl's side had gained a creditable draw at VfL Wolfsburg in their previous match and were performing well above expectations alongside their rivals for a European finish. However, an impressive eight-game unbeaten run away from home had been masking Augsburg's fragile record on their own patch. The Bavarians were without victory in their previous three home matches, a record that has led to frustration among the SGL arena faithful in view of their heroics on the road. Leverkusen took full advantage at the SGL Arena. Stefan Kießling quickly silenced the crowd by opening the scoring with the game’s first shot on 12 minutes and, though Tobias Werner equalised, second-half efforts from Heung-Min Son and Emre Can sealed a significant, if flattering success for the visitors. 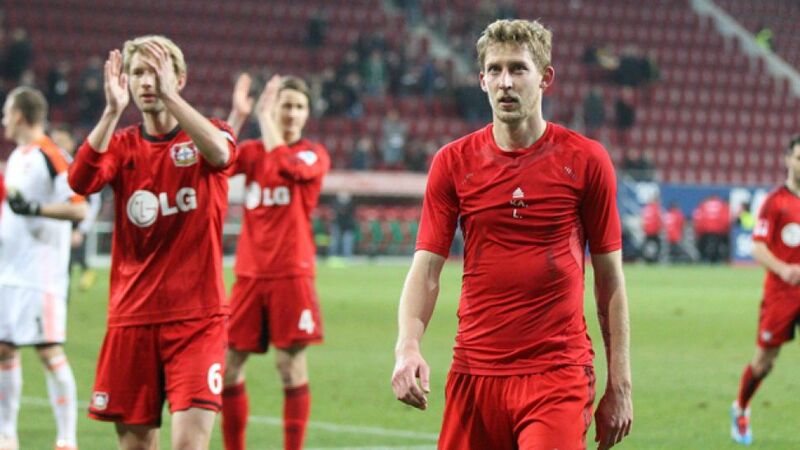 After such a lengthy barren spell, Leverkusen suddenly had reason to celebrate again. And yet even after such a dire run of results (five defeats from their last seven in the Bundesliga), the notion that their only motivation was winning at all costs was, at least in the opinion of Stefan Kießling, utterly false. “Yes it’s a win and we can take confidence from it, but that isn’t Bayer Leverkusen”, said the 30-year-old post-game, before highlighting the club’s “need to play better football”. The six-time Germany international was evidently unhappy at the way Leverkusen had been dominated for long spells of the game. Indeed, the hosts boasted a greater share of possession (58 per cent), a better pass accuracy rate (81.8 per cent to Bayer’s 79), more attempts on goal (22 to 13) and more crosses into the box (34 to just 3). Kießling’s assertion that the performance did not befit a Leverkusen team can also be applied to the club's Rückrunde as a whole. The Werkself had a five-point lead over third place at the beginning of the year; they are now four points behind third-placed FC Schalke 04, having also suffered chastening exits in the UEFA Champions League and DFB Cup. Crucially, however, they have a win under their collective belt once again, and it is a result that should help alleviate the pressure on Hyypiä and his team. Kießling’s call to arms is certainly not ill-timed, either. Boasting the squad of players they do, Champions League qualification should be assured. Winning at all costs may have been the immediate motivation in Augsburg, but going forward, the mantra will be to fulfill the team’s undoubted potential.